FDL will report from a live streaming, same as in the past two years, directly from London’s Guildhall and share this year’s World’s 50 Best Restaurants winners as they are being announced during the event sponsored by S.Pellegrino and Acqua Panna, on 29th of April. Lifetime achievement was already announced: it was assigned to the French chef Alain Ducasse: read FDL’s tribute to him. The Italian Nadia Santini, chef of the “Dal Pescatore” is the winner of the Veuve Cliquot World’s Best Female Chef Award: read her interview on FDL. The prizes will be given out on the night of the awards, in addition to the list and other individual prizes such as One to Watch and Chef’s Choice amongst others. 2013 is a great year for the World’s 50 Best Restaurants: this year, in fact, started the first edition of the dedicated award in Asia at Asia’s 50 Best Restaurants that went to japanese The creations de Narisawa restaurant by chef Yoshihiro Narisawa. Last year’s 2012 winner was René Redzepi’s restaurant Noma in Copenhagen. 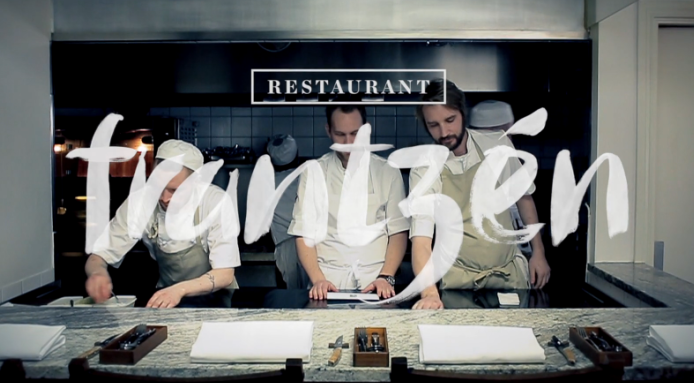 The restaurant reached the top of the list for the third year in a row, at the World’s 50 Best Restaurants it was celebrated by friends and colleagues as seen in the video. Based on a number of elements, the World’s 50 Best Restaurants list is compiled each year to determine which restaurant of the Best Chefs in the World can be considered among the World’s 50 Best Restaurants. How it works: The lists of The World’s 50 Best Restaurants and Asia’s 50 Best Restaurants are organised and compiled by William Reed Media. The list is created from The Diners Club® World’s 50 Best Restaurants Academy, an influential group of over 900 international leaders in the restaurant industry, each selected for their expert opinion of the international restaurant scene. The Academy comprises 26 separate regions around the world. Each region has its own panel of 36 members including a chairperson to head it up. The panel is made up of food critics, chefs, restaurateurs and highly regarded ‘foodies’ each of whom has seven votes. Of the seven votes, at least three of which must be used to recognise restaurants outside of their region. At least 10 panellists from each region change each year. The results are published online as soon as they have been announced to the assembled chefs and academy members in February in Singapore for Asia’s 50 Best Restaurants and in London in April for The World’s 50 Best Restaurants. Every restaurant in the world is eligible.